When you first get a diagnosis, and often prior to this, you will often be bombarded with many different practitioners. But unless you have a prior working knowledge of the whole of the Children Young People and Family Service (Children, Schools & Families) or the health service, who they are or what they do can be a mystery! This page provides links to charities, useful downloads, from expense forms to our newsletters, and general information. If you can’t find what you want here, or need any help or advice – contact us! Bibic is a registered charity encouraging home-based therapy to help children variously diagnosed as having autism, autistic tendencies and brain damage. Charity fighting heart and circulatory disease. The BHF funds research, education and life-saving equipment and helps heart patients. Our vision is of a world in which people do not die prematurely of heart disease. We’ll achieve this through pioneering research, vital prevention activity and ensuring quality care and support for everyone living with heart disease. Cornwall Carers Service is a partnership between; Cornwall Rural Community Council (CRCC), Carers Rights, Age UK Cornwall and Disability Cornwall to support informal and unpaid carers across Cornwall. The Princess Royal Trust for Carers is the largest provider of comprehensive carers support services in the UK. The Trust currently provides quality information, advice and support services to almost 345,000 carers, including 20,000 young carers. Cerebra is a charity that funds research on Brain conditions and provides support to Parents, carers and professionals. The Citizens Advice Bureau helps people resolve their legal, money and other problems by providing free, independent and confidential advice, and by influencing policymakers. Clic provide information about childhood cancer diagnosis, conditions and treatment. Latest children’s cancer charity news, fundraising events and message boards. Contact a family is a UK charity for families with disabled children. They offer information on specific conditions and rare disorders. The Cornwall Council website, updated daily with information on County Wide Information in Cornwall and information on education, community and living, social care and advice & benefits. Click health & social care then disabilities. Cornwall Family Information Service Directory provides details of registered childcare in Cornwall as well as holding a wealth of information for parents, carers, children and young people up to the age of 19. Cornwall Sendiass, is formerly the Parent Partnership Service. It is a statutory service covering the whole of Cornwall and managed by the national charity “Contact A Family”. Cornwall Sendiass has close links with the Parent Carer Council for Cornwall. Department of Work and Pensions is the Government department responsible for welfare and employment issues. Formerly the Department of Social Security (DSS) and Benefits Agency. Disability Cornwall aims to facilitate a fully inclusive society in Cornwall through empowering disabled people to achieve independence, choice and control. Disabled Living – are you interested in products which help with easier and independent living? Also available are training courses to increase your knowledge of disability issues. Down’s Syndrome Association help people with Down’s syndrome to live full and rewarding lives. They are the only organisation in this country focusing solely on all aspects of living successfully with Down’s syndrome. Dyslexia Action is the UK’s major dyslexia organisation for dyslexia assessment, dyslexia tuition and the training of specialist dyslexia teachers. Homepage of the Every Disabled Child Matters (EDCM) campaign by four leading organisations working with disabled children and their families. The Family Fund give grants for disabled children; for things that make life easier and more enjoyable for the disabled child and their family, such as washing machines, driving lessons, hospital visiting costs, computers and holidays. Fledglings is a national charity which aims to assist parents and carers of disabled children, or those with additional needs of any kind, by identifying, sourcing and supplying practical, affordable products to address every day issues. The UK’s foremost charity for people with autistic spectrum disorders. Champion the rights and interests of all people with autism and aim to provide individuals with autism and their families with help, support and services that they can access, trust and rely upon and which can make a positive difference to their lives. 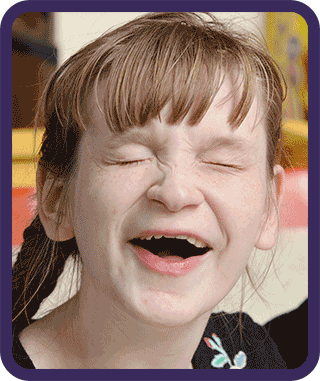 Scope is a UK disability organisation whose focus is on people with cerebral palsy (cp). Their purpose is to drive the changes that will make our society the first in which disabled people are able to realise their full civil liberties and human rights. Sibs is the UK charity for people who grow up with a disabled brother or sister. They support siblings who are growing up with or who have grown up with a brother or sister with any disability, long term chronic illness, or life limiting condition. Find self-harm advice and information from TheSite.org, the online source for information on health and wellbeing with advice on self-harm issues. Situated in the centre of Truro, Spectrum’s Pearl Centre is a place for people with autism and their families to get information and advice on autistic spectrum disorders (ASDs) and associated conditions. SWAN UK is a project run by Genetic Alliance UK offering support and information to families of children with undiagnosed genetic conditions. Unique is a Rare Chromosome Disorder Support Group for families affected by any rare chromosome disorder such as deletions, duplications and translocations. Worry Wise Kids – Anxiety is the number one mental health problem facing children and adolescents today, but it is also the most treatable. If you are the parent of one of the millions of children who suffer from excessive fears and anxieties, we’re here to help. Acronyms are commonly used abbreviations. The list of acronyms and terminology you will come across when dealing with children with special needs is huge. We wrote this Jargon Rap to give you an idea of the potential issues. . .
Got a letter from the GP and the Ed. Psych too Still groping in the dark still dunno what to do. While the CDC thinks it’s just CP. Pediatrician says he’s the only one knows the score. PLLD or just ADD? Have to get an MRI or an ECG. Maybe go for Makaton and Braille as well. But where to find some RESPITE and some DLA? About Portage and a CAF and the JAP. Or does joining SENSE seem the right thing to do? Just know my little child has taken over my heart. In order to help you make sense of these, click on this link to download a glossary of acronyms and their meanings. Click on a link below to download and read useful reports and previous PCCC newsletters. You will need a pdf reader to do so – download one here if you don’t have one already installed. If you would like to subscribe to the PCCC newsletter please complete the form in the footer of this website.